Try us on with a FREE T-Shirt! "The Air Guard introduced me to lifelong friends, a debt-free education, and I got to choose what job I wanted! This is an experience you won't get anywhere else!" "The Air Guard will train you to perform in jobs and trades that pay up to six figures in the civilian work force!" "You will push yourself to achieve things that you never thought possible. It's a great experience, and I would recommend it to anybody." Earn your college degree at ND colleges—for FREE! When you graduate (without student debt), you'll also benefit from the training you received in the Air Guard – skills that make you better in your chosen career! Right away, you’ll get hands-on, real-life work experience plus opportunities to serve in nearby communities when the governor calls. The Air Guard has 70 different career choices, many of which are part of high-tech or top-secret missions! The Air Guard family is a tight-knit group. We have high expectations, and high standards, but we provide a high level of support. We have a no-pressure recruiting process! 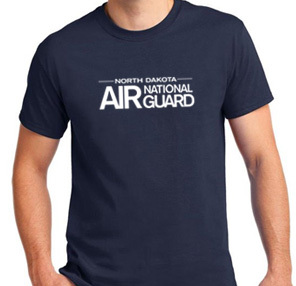 Fill out the form, and we'll send you a FREE Air Guard t-shirt. We'll text you a confirmation to let you know we received your information.